C&R Racing Transmission Oil Cooler Kit - Dezod Motorsports Inc - Home of the automotive performance enthusiast since 2002. 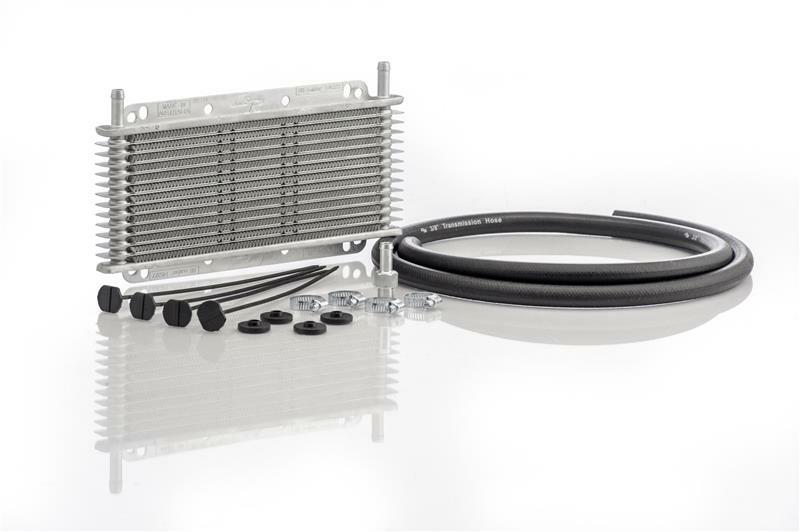 C&R patented dimpled plate and fin transmission oil coolers are made from 100% aluminum that makes them extremely strong, lightweight and compact, offering easy mounting. The patented dimple plates re-direct oil flow and the unique louvered fin design provides high heat transfer and low pressure drop. Manufactured with 19mm core these coolers are perfect for automatic transmissions, differential and power steering. Unique louvered fin design offering high heat transfer and low pressure drop. 19mm core perfect for automatic transmissions, differential and power steering. 3/8” push on coolers include hose, clamps, adapter and mounting hardware.